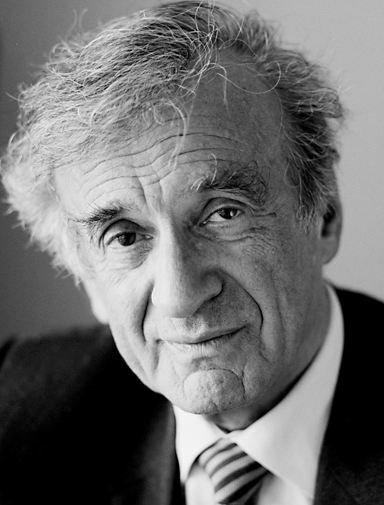 Eliezer Wiesel (b. 1928) was born in Romania in a home that regularly spoke Hungarian, German, Romanian, and Yiddish. 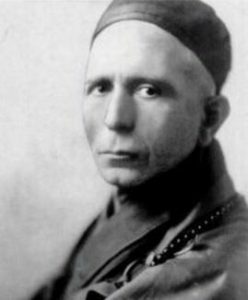 During the Holocaust he suffered in multiple labour and concentration camps, including Buchenwald and Auschwitz, and lost both parents and a younger sister. After the war, he resettled in Paris, studied at the Sarbonne, and worked as a journalist. In 1949, Wiesel became the Paris correspondent (later the international correspondent) for Yediot Ahronot. Though originally not wanting to write at all about the horrors of the Holocaust, he was convinced by a friend and published Night in 1958 – a shortened French version of his 900-page memoir in Yiddish. Though it took a while to hit the mainstream, the book now sells hundreds of thousands of copies every year and has been translated into 30 languages. Wiesel has subsequently authored many more publications, and has become an internationally-renowned speaker. In 1986, he won the Nobel Peace Prize for his efforts against racism, violence, and genocide, and was called a “messenger to mankind”. He has also won the Presidential Medal of Freedom, the Congressional Gold Medal, and was knighted, among many other awards. He has even been nominated as President of Israel, but did not wish to take up the post. Wiesel has taught at Boston and Columbia Universities, the City University of New York, and served as a visiting scholar at Yale. He has spent a great deal of his life as a political activist for international causes. He stood strongly against apartheid South Africa and raised support for intervention during the Bosnian genocide, and more recently in Darfur. He has assisted the plight of Kurds, Native Americans, Argentinian Desaparecidos, as well as Soviet and Ethiopian Jewry. Wiesel remains a vocal supporter of Israel, and Jerusalem as its undivided capital. For the past 58 years, he has lived in the US and to this day has authored 57 books. UPDATE: Sadly, Elie Wiesel passed away on July 2, 2016. For me, the Jew that I am, Jerusalem is above politics. It is mentioned more than six hundred times in Scripture – and not a single time in the Koran. This entry was posted in Writers & Thinkers and tagged Auschwitz, Boston University, Buchenwald, City University of New York, Columbia University, Concentration Camps, Congressional Gold Medal, Darfur, French, French Jews, Genocide, German, Holocaust, Hungarian, Israel, Jerusalem, Jewish Knight, Knight, Labour Camps, Medal of Freedom, Night, Nobel Peace Prize, Nobel Prize, Order of the British Empire, Paris, Romania, Romanian, Romanian Jews, Sarbonne, South Africa, Yale University, Yediot Ahronot, Yiddish on November 6, 2013 by Jew of the Week.